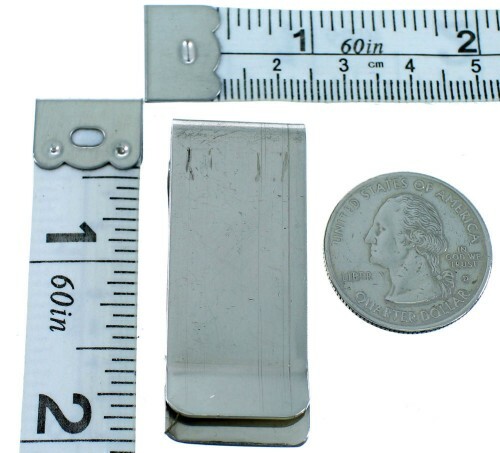 Money clip measures approximately 1-3/4" long and 3/4" wide. If you are looking for elegance and beauty, you have found it! 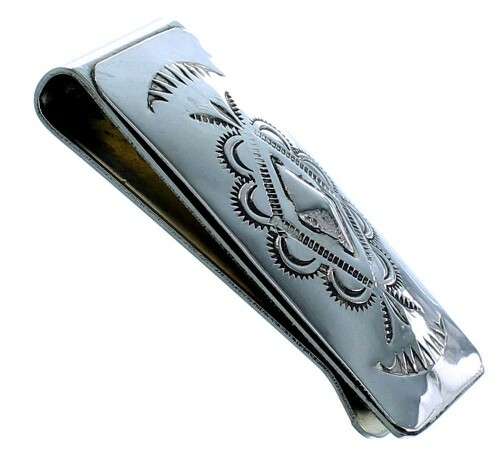 This piece of Native American jewelry is Navajo hand crafted by artist Arlene Soce, out of genuine sterling silver. 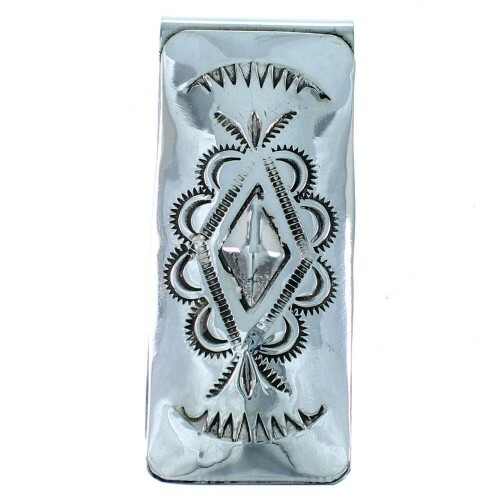 Unique imprinted designs can be seen accenting the money clip for a magnificent finish.